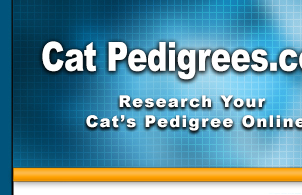 The Per-lore database is the largest single online cat breed pedigree database in the world. Barb Brush began breeding and showing Himalayans under the Per-lore cattery name in the early 90's and quickly expanded to Persians, granding cats in both CFA and ACFA. Barb was one of the original 'linechasers' when pedigrees were first exchanged via the internet. She started researching pedigrees while trying to find the chocolate gene behind a well known Persian (Still looking). 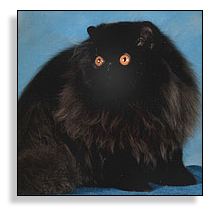 The Per-Lore database began when Barb entered all the pedigrees from the Himalayan Breeder's Manual and then expanded to include all the GC's from yearbooks. Her work has led directly to several cats being granted belated DM status after she identified cats who granded prior to the mid 80's, but whose titles where not part of CFA's current records. Barb is now retired from her position of Vice President of Human Resources for a major department store chain in the midwest, devoting her time to playing with grandchildren and chasing pedigrees. The Per-lore pedigrees are also linked to the photos of cats in The Gallery of the online magazine devoted to Persian and Exotic Shorthair cats, PandEcats.com. 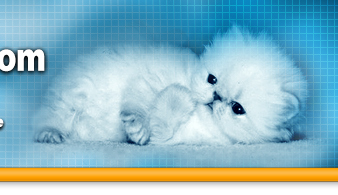 Barb invites owners of Persians and Exotic Shorthairs around the world, and from all registries, to email her their cats' pedigrees to be added to the Per-lore database. With everyone's cooperation, we will continue to build and preserve our pedigrees as a legacy for future breeders and linechasers of the breeds we love. Select the number of generations you will want displayed in the pedigree. For most computer printers printing in Landscape mode, 4 generations is the best choice. Enter the name, or partial name, to search for. For example, entering "abc" will find all entries whose names contain "abc". Click on the "Search Now" button below. This will begin the search. Search script copyright © 2005-2009 Wild Systems. All Rights Reserved.